Talk about a life change. 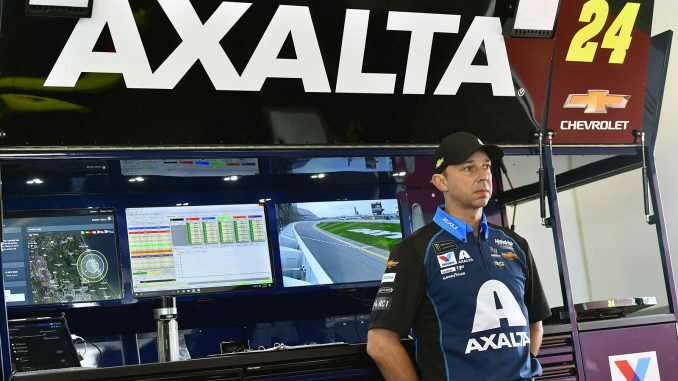 Last season there was a big change in the life of veteran crew chief Chad Knaus. After spending 16 years atop the pit box directing Jimmie Johnson, Hendrick Motorsports decided to shake things up. After seven titles and 81 wins together Knaus and Johnson were broken up. The move came after a winless season filled with struggles for the pair. Maybe it was time, or maybe the two had just stopped getting along, lost their magic. Either way it was a change that could be hard on anyone and sort of a mid-life crisis for the 47-year-old Knaus. Add to all this the fact that Knaus recently got married (in 2015) and just had a baby (last August). So in the off-season he had to learn to work with a new team (the No. 24) and a new driver, William Byron. 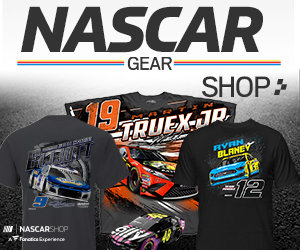 It’s somewhat of a new role for Knaus who has had those few weeks of off-season to mentor his new driver who despite being just turning 21 and starting just his second full year Knaus refuses to call a kid.